The fans of Lee Min Ki are excited about his role as a bachelor by name Nam Sae Hee in 'Because This Is My First Life'. 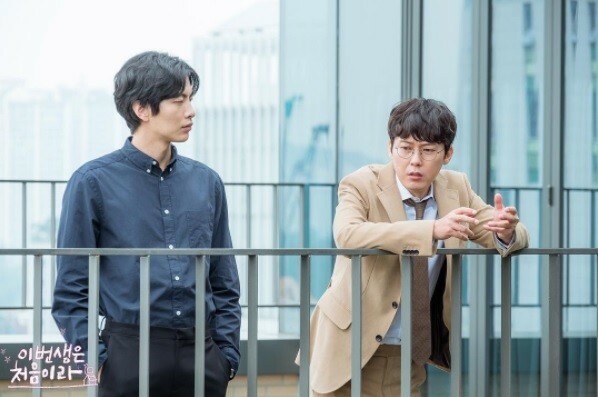 'Because This Is My First Life,' the new romantic comedy drama starring Rainbow Romance actor Lee Min Ki will premiere on tvN this Monday, October 9, at 9.30 PM KST. The mini-series revolves around the life of a bachelor named Lee Min Ki and his relationship with a homeless woman Yoon Ji Ho, played by My Father Is Strange actress Jung So Min. The onscreen couple will start living together as housemates and then fall in love with each other. Cast member Jung So Min described the show as a family drama with a lot of fun elements that will help the viewers to connect with the characters. "I think it's a drama that will tell all the stories that need to be told about families, lovers, and more. I think it will be able to connect with viewers and be a comfort to them, especially the youth," the actress said. Also read Bride Of The Water God season 2 predictions: No more episodes for Habaek, So Ah? Meanwhile, Lee Min Ki revealed that the Korean mini-series will focus on several issues faced by the youth today in a funny way. "It's a cute and funny romantic comedy that also touches upon issues that many people in this generation face and can relate to," Soompi quoted the actor. The tvN drama is written by Yoon Nan Joong and directed by Park Joon Hwa. The show features Phantom actress Lee Som, The Hunt actor Park Byung Eun, actress Kim Ga Eun from Reunited Worlds and Defendant actor Kim Min Seok in supporting roles. Click here to watch Because This Is My First Life episodes 1 and 2 (premiere) live online. Korean drama lovers can also catch up with the latest episodes of the show on various video streaming sites, such as Viki and DramaFever. I'm so happy that lee Min ki decided to do a drama. It has been forever since he has even featured one yet alone do one. I am ecstatic that I get to see him. Just love that man!!! This is soooo awesome! Lee Min Ki is such a great actor and it's been a while since he has been in a drama. I'm so glad he will be making his K-drama comeback alongside Jung So Min. She is such a phenomenal actress and it's nice to see she is finally getting the recognition she deserves. Yeah, Lee minki comeback! Welcome to dramaland. The plot is interesting, housemates are very romantic. I hope this drama genre romance comedy, it will be fresh and also fun later. I actually dont really like Jung somin but it's not her fault to try it. Hopefully later on the acting Jung somin makes me fall Love.